Maxine Hepfer joined Ernst & Young’s Transaction Real Estate services team in Dallas, Texas, in 2014. A 2013 graduate of Cornell University, her duties include reviewing the real property portions of audits conducted by E&Y and performing due diligence for proposed real estate transactions. Maxine Hepfer belongs to several organizations that promote the interests of women in business, including the E&Y Professional Women’s Network and the Dallas chapter of Commercial Real Estate Women, or CREW. Dedicated to advancing the interests of women in the real estate industry as well as positively impacting the industry as a whole, Dallas CREW traces its origins to 1980. The organization today boasts a membership of about 300 dues-paying members representing all the various disciplines in the commercial real estate industry, including brokerage, law, accounting, finance, and property management. More than 80 percent of the members are full members, with five or more years’ experience. Dallas CREW provides its members numerous opportunities to network with each other. It hosts monthly luncheons with speakers, whose presentations have covered such topics as the overall economic outlook, the importance of the fresh water supply in north Texas, updates on various local developments, leadership, and contemporary reports on the development of public policy. The organization also hosts a cooking competition, a fall wine tasting event, informal cocktail hours at various venues and an annual Dine Around event held right in members’ homes. Dallas CREW also collaborates on networking events with local chapters of similar organizations, such as the Certified Commercial Investment Member Institute, the National Association of Industrial and Office Properties, and CORENet, another association serving real estate professionals. 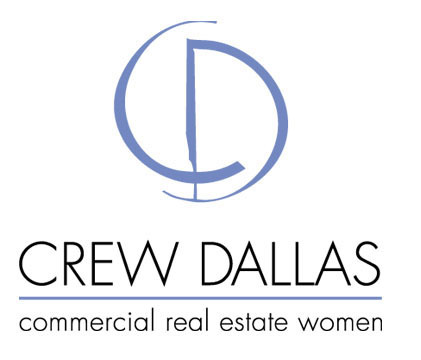 In addition to providing networking opportunities to members, Dallas CREW sponsors an annual golf tournament, the CREW Dallas Golf Classic, the proceeds of which support the initiatives of various groups and individuals in the area of women’s issues.